Designed To Enhance Muscle Definition, Reduce Undesirable Bulk, Increase Energy & Improve Endurance! 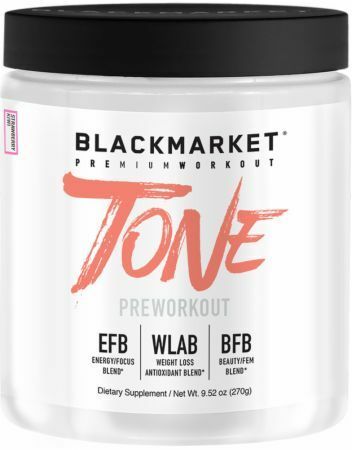 TONE pre-workout is a premium formula designed to enhance muscle definition, reduce undesirable bulk, increase energy, and improve endurance. We use precisely dosed ingredients to help you train more effectively and develop a stronger leaner body. This unique formula delivers clean energy, amino acids, thermogenics, vitamins and antioxidants. KEY INGREDIENTS: L-Carnitine Tartrate, Beta Alanine, L-Citrulline, Vitamin B12, Siberian Ginseng, Green Coffee Bean, and Beet Root Extract. PURPOSE: TONE gives you energy and nutrients to improve training effectiveness so you can become stronger, leaner, and more confident. ADVANTAGES: TONE is an ultra-concentrated formula. 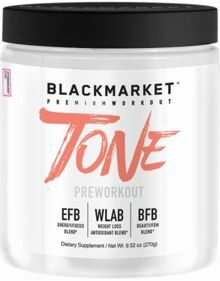 Each ingredient has been carefully selected to enhance strength and muscle definition without adding size. There are no fillers or ineffective ingredients. We manufacture TONE in our own GMP-certified facility. We developed the formula and flavors ourselves. We blend, package, inspect, and ship every bottle ourselves. Every ingredient is tested for purity, and every batch is tested for consistency, quality, and flavor.